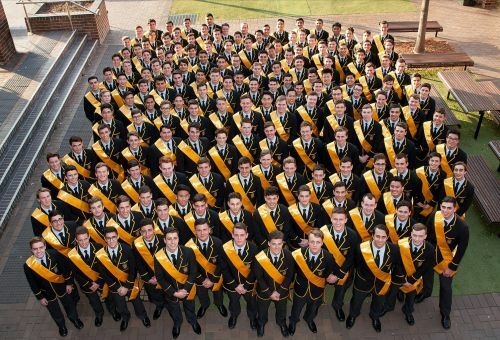 Our College is a non-selective, comprehensive Catholic boys’ school in the Edmund Rice tradition. We accept enrolments from boys not based on their academic ability or potential, but rather on the desire of families for a Catholic education. It is testament to the commitment to learning and achievement that once again our Year 12 class has produced outstanding results in the Higher School Certificate. Equally, our teaching staff is worthy of this recognition for the quality of the learning experiences that our boys are afforded, from Year 5 all the way through to Year 12. We are proud of the academic achievements of our boys and commit ourselves to excellence in all facets of learning and teaching. What is most pleasing about the 2017 results is the variety of courses and faculties from which high achievers are represented. I offer my sincere congratulations to all boys in the Class of 2017 on their results, and pay particular tribute to Frank Malfitano as College Dux with an ATAR of 99.55 and Nicholas McFadden as Proxime Accessit with an ATAR of 98.95. In addition, mention must be made of Matthew Miceli for his nomination and inclusion in ArtExpress and Nicolas Di Cecco for his Encore nomination. In all, the Class of 2017 achieved 161 Band 6 or E4 nominations. These results speak loudly of the strength and success of St Patrick’s College. I hope you are as proud of our students as we are! For a more detailed analysis of the 2017 HSC results, please download the booklet 2017 HSC Results.